I am back in Jamindan. Early this morning, I had my usual run around the 2-mile route inside the camp. 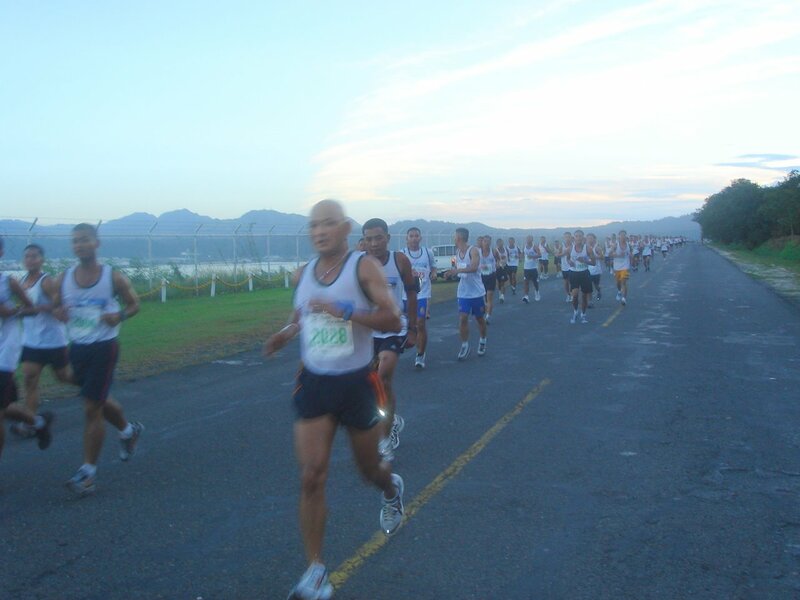 This run was my first running workout after the 2008 Subic Bay International Half-Marathon last 20 January, exactly 10 days after the race. The past 10 days served as my rest and recovery period. I started my stretching and warm-up exercises at 5:45 AM and I started my run at 6:10 AM. My first round (2 miles) registered a time of 15:25 minutes; the second round (after 4 miles) registered a time of 31:04 minutes; and my third & last round (after 6 miles) registered a time of 46:43 minutes. After running for 6 miles, I had my one mile cool-down run and later my post-stretching exercises. So far, this is my best time for a 6-mile run around the 2-mile route inside the camp. Last 16 January, I registered a time of 47:42 minutes. Compared with today’s run, I was able to improve my time by almost one minute, to be exact, in 59 seconds. My average pace in today’s run is 7:47 minutes per mile or 5:04.6 minutes per kilometer. I had a two-hour walking at the Boracay Beach yesterday afternoon and lasted up to early evening. I started from the northernmost part of the beachfront up to the southern end, south of Lorenzo Beach Resort. I was trying to study the inclination of the beach towards the water or sealine and find out portions along the beachfront where the sand is hard or the sand is too loose for the feet. Why? 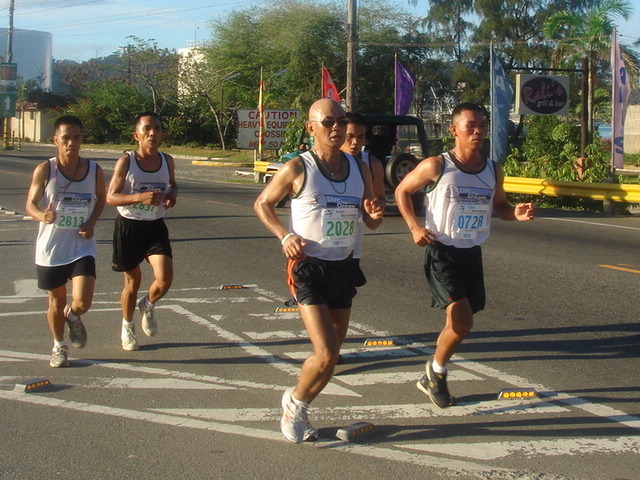 How about a “Boracay Beach Mile Run” or any road race along the beachfront every Easter Sunday? Why not? In the ’80s, the late Fred Lebow of the New York City Marathon’s Race Director started with the “New York City Mile Run” which ultimately became as the “5th Avenue Mile” Run today and usually done during the month of September by the New York Road Runners. 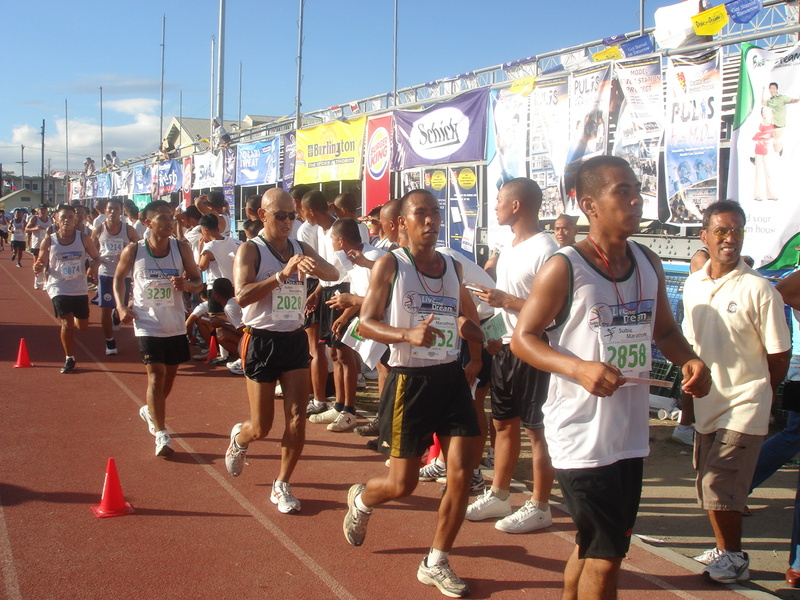 In the Boracay run, there will be only two categories: running barefoot and running with running shoes! Anyway, I enjoyed walking along the beach with my running shoes thinking of such plans to be realized soon. 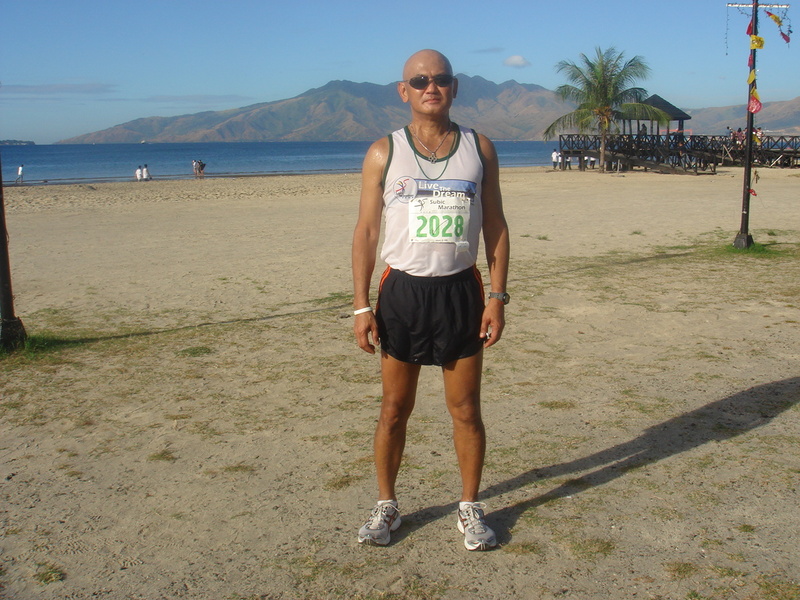 Since the 2008 Subic Bay Half-Marathon last 20 January 2008, I am on rest and recovery even if I did not incur any injury on the said race. 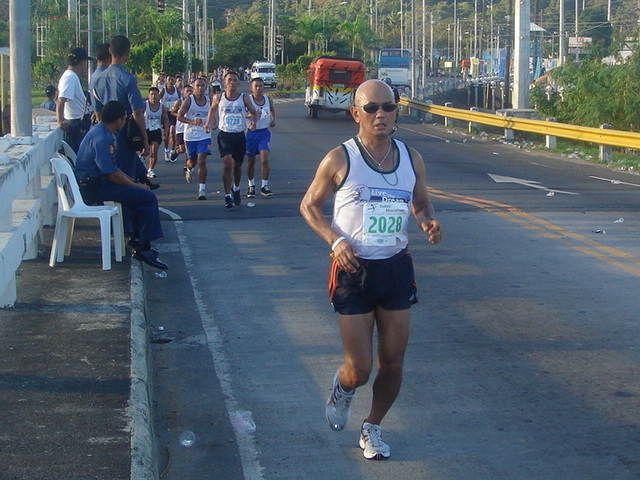 Hopefully, I will be starting my running workout tomorrow just in time to participate in the GIG Run at the UP Campus on 03 February 2008. One of my visitors had been asking the travel time to Laoag City by land and here is my answer. There is no exact travel time by land from Manila to Laoag City. There is a big difference travelling by bus or by personal car/vehicle; or travelling during daytime or nighttime. Travelling by bus or personal vehicle during daytime will take 10-12 hours depending on the traffic along the road. During nighttime, buses and personal vehicles could reach Laoag City in 7-8 hours. By plane, Philippine Air Lines has a daily flight from Manila which takes 50 minutes to reach Laoag City. 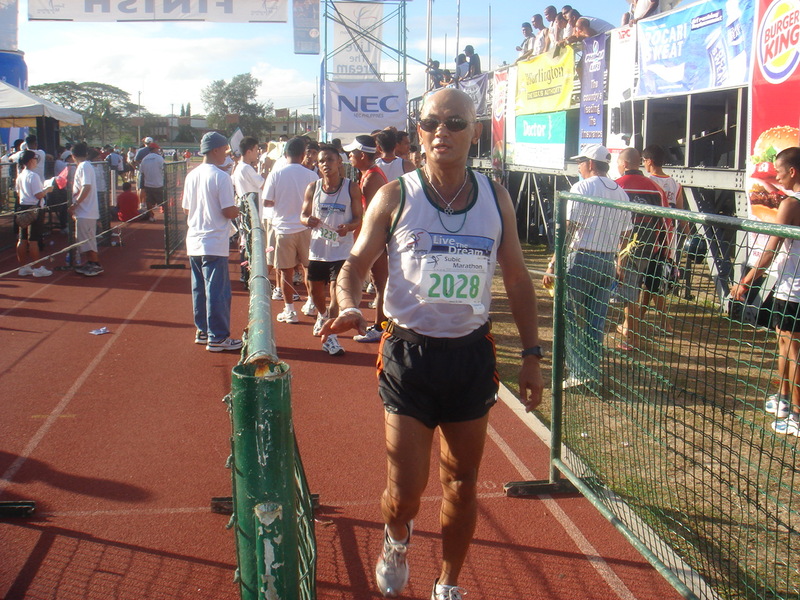 On the 1st kilometer, one runner beside me asked if my pacing (6:00 minutes per kilometer) which I considered very slow was the right pace to finish the half-marathon. 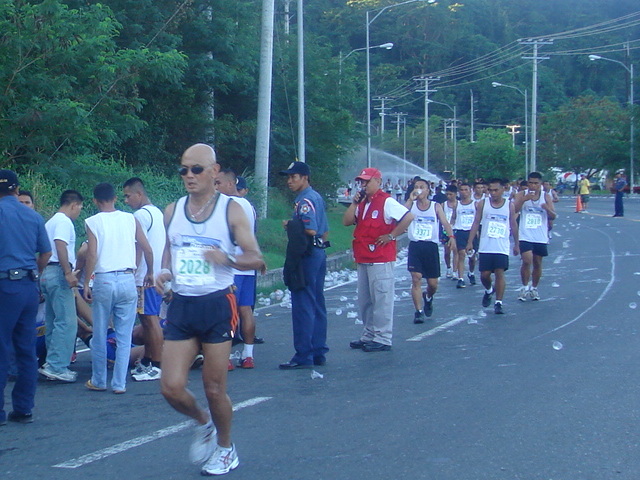 I answered him that his pacing/speed should depend on the nature of his training and preparations for the race. 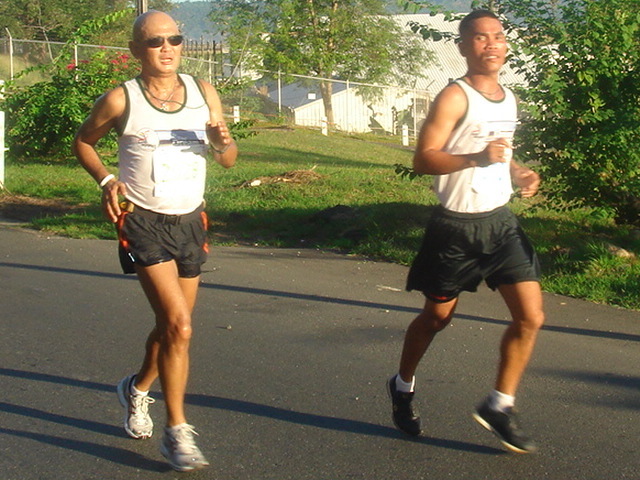 The other runner kept silent and we continued to run together for the next 500 meters until he slowed down and he was left behind. 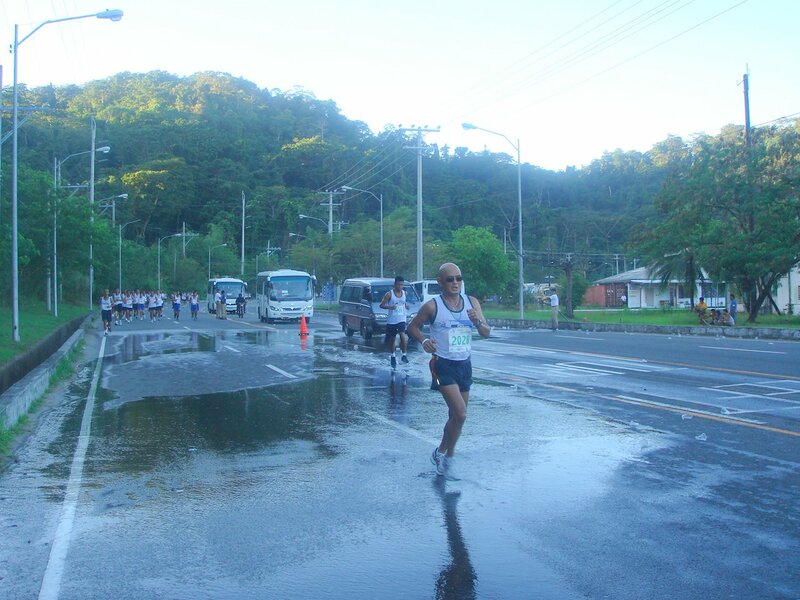 The only lesson I’ve learned here was my tendency to be conservative and be able to maintain a slow pace at the start of the race in order to preserve my strength for the uphill portions and mountain route. Although I wanted to have a finish time of less than 2 hours, it was too late already to adjust and speed up my pace on the last half of the race when the heat of the sun started to slow me down. 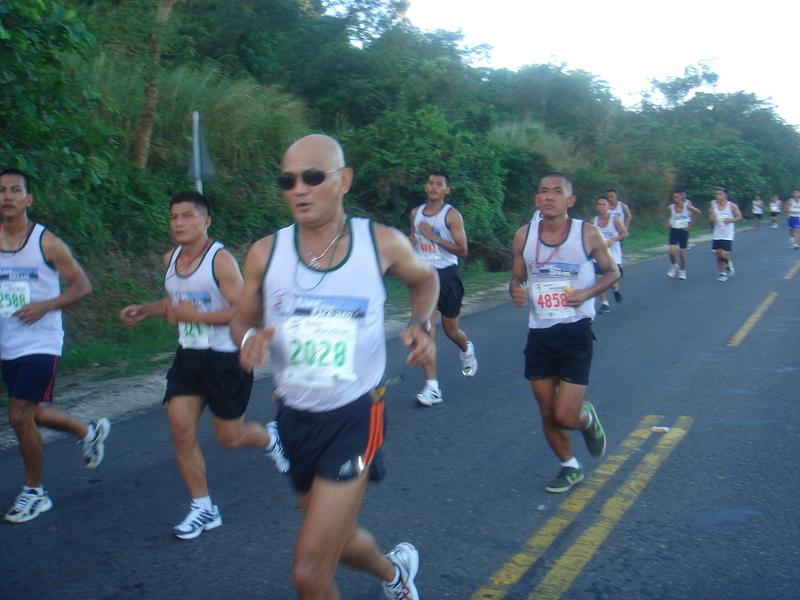 I started to be aggressive and speed up my run on the uphill portions of the route and along the mountain route. I was comfortable and relaxed on my run but I slowed down on my way back to the finish line. I spent so much of my strength at the mountain route. Although I was not able to attain my goal for this race, I considered this race as my long slow run for last week’s training in preparation for the Pasig River Heritage Marathon on 24 February. I did not have any major muscle pains or any injury after the race. I made a fast recovery that I could feel I could run another 10 miles the day after the race. 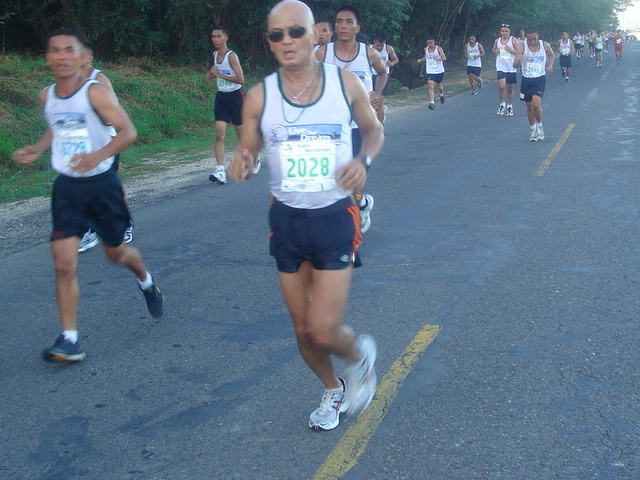 Slowly, I need to put more speed to my strengthening/endurance runs for a better time on my next races. But, I should be very observant on impending signs of injury on my feet and leg muscles. For the past three days, I did not have any runs and just rested my body. I ate a lot of carbohydrates and protein foods. I had to drink lots of water and energy/sports drinks to replenish minerals lost from the body due to my sweats/perspiration. At the end of this month, I should be able to run 3 hours for my long slow runs.